Trump is not at all as stupid as he makes people believe. He is a deadly combination of Scorpio Moon who will not stoop to attacking the opposition and has already boldly stated that not only he should be already declared as the President of America, but if votes don't turn out in his favour, there shall be a bloody crowd on the streets after as the results of elections are rigged. He smartly tried to win Indian vote by quoting fellow Scorpio Moon Narendra Modi, also quoting him. His key challenge will be in Florida which will hold the key to the elections. 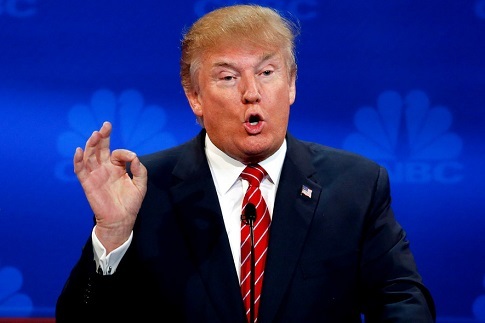 Donald Trump, born on 14.6.1946, (1+4+6+1+9+4+6)=4, and 14 th=5. Interestingly his fate number 5 and destiny 4 match the Independence chart of America of 4.7.1776 (4+7+1+7+7+6)=32=5 and the 4th! Strangely,he also has all the personal year, personal month and personal day numbers on Election Day matching with America's numbers with the code 243 which adds to 9. Could these make him President? Could he be connected with the destiny of America? Most certainly, his destiny will influence America, even if he is somehow deprived at the moment. He is in for a good Jupiter mahadasha commencing from 11/11/2016 and his transit Jupiter and also his 10 th house (power) Sun and Rahu who are both his dasha and antardasha lords and also his Jupiter transit falls in the 10 th house of Americas Independence chart. Look at Trump's expressive Leo face (ascendant) and his various expressions(he is a good dramatic actor), his fate number 5 ruled by Mercury makes him fond of speed and good things in life, wine and women ( he has three wives) and vibrates well with the destiny number 5 and fate number 4 of USA, people will be stirred by him, which is why despite his goof ups, the opinion polls show a razor cut race now. 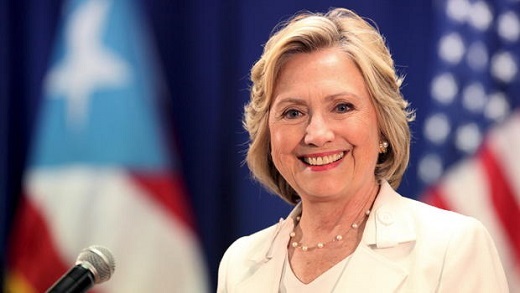 Hillary, born on 26.10.1947, fate number 8 and destiny number 3 does not have numerological support and is under tough personal year number 9 which brings out all her good and bad deeds done in the last 9 years out in the open, now her alleged ISS links exposed by Wikileaks have propped up Trump's chances. The saving grace for Hillary could come from Florida, which holds the key to this election, Florida is 26 which also adds to 8 which vibrates her fate number 8 and Hillary Clinton's name also is 44 which adds to 8. 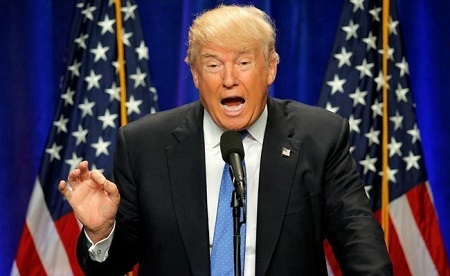 Women voters may temporarily bail her out of problems but Donald Trump on the other would prove all calculations wrong and prove to be a worthy challenger to the throne, he is currently under adverse Sade Satti, where transit Saturn is opposing his natal Sun and is over his natal Moon which is not a good factor. However transit Jupiter moving close to degrees of his natal Jupiter will give him a boost and unprecedented last moment push, there will be a swing in his favour. However, women will be the key and may not vote significantly in his favour as his transit Venus (women) will not be sure of him (especially, in wake of his alleged locker room banter of enjoying groping women down there), but he smartly tried to parade the same women in his campaign who had alleged that Bill Clinton had sexually exploited them while Hillary threatened them. Hillary Clinton has an unfortunate first name which adds to the 'Shattered Citadel', which adds to Kabala number 16, which in the Tarot is depicted as the King with his Crown falling down from the Tower struck by lightning. This is symbolic which means that she may get the Crown, but rigid dogmatism and ego will be the cause of her downfall too. Already, the competition is very tough and results can go any way, her success would be temporary and challenged, her name would come to disrepute due to various scandals and she will be under a lot of stress. Hillary has Saturn-Mars conjunction in her 2 nd house which makes her very determined, dominating and stubborn. Transit Saturn moves into her 7 th house in January 2017 and by September, transit Rahu would move over her natal Mars and Saturn in the 2nd house which would put her in a severe strain. Fate 8 is a fatalistic number, they are usually inflexible as Saturn is the number and planet of Karma, Saturn will not give anything easily, rather it can also take away what it gives. Women will vote in her favour in this election. But amidst all the leadership crisis in various parts of the world, Jupiter's presence in the 10th house of America's Independence chart shows that U.S. will get a good leader. 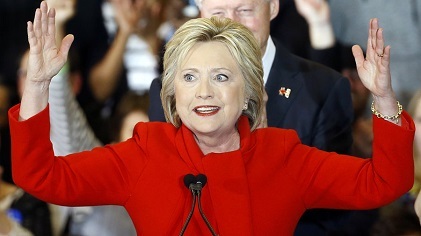 Even the numbers and stars are playing tricks, just see how..
Hillary's personal day number on Inauguration Day..(8+1+1+2+1)=4..which is the same as US Independence Day fate number 4! 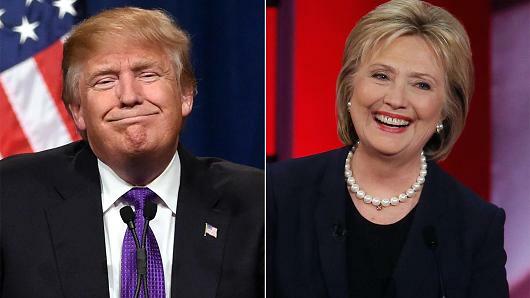 Despite all adverse factors against her, it is still advantage Hillary Clinton to win the U.S. Presidential election, but with a crown of thorns, as there is a lot more coming for her before the Inauguration Day on 20 th January 2017. Copyright: all calculations above are subject to copyright by Anupam V Kapil and may not be reproduced without his permission or credit.